It's a cuvée of Chardonnay and Pinot Noir grapes vinified in rosé, a crisp Brut, with a fragrant bouquet of small fruits, especially raspberries and blackberries. It's delivered in a classic tissue which protects the product from the light saving as much as possible the beautiful blush colour. Pale pink in colour with copper hues, creamy white foam, fine, persistent perlage. 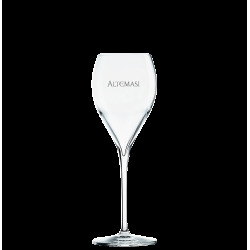 Compleax, fruity nose reminescent of ripe cherry, blackcurrant and red apple. Rich, well-balanced palate, with highly persistent aftertaste. Vineyards at altitudes of 450 to 600 meters above the sea level on the hillsides around Trento and the Brentonico Plateau, with southerly and south-westerly exposure.